McLANE (McLean, M’Lane), DAVID, merchant; b. possibly in Ayrshire, Scotland; hanged at Quebec on 21 July 1797, at about 30 years of age. 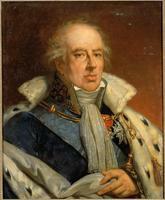 From the summer of 1789 until April 1793 articles appeared in Quebec and Montreal newspapers praising the French revolution; these were written by both Canadians and Englishmen, the former being converts to the Enlightenment and the latter welcoming the establishment at last by the French of a parliamentary régime. 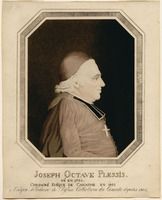 Although Canadian priests opposed the revolution, they remained silent in public. When the revolutionaries declared war on Great Britain, however, the situation changed radically, and at this point colonial officials launched what was essentially a psychological campaign. Each week Montreal and Quebec newspapers published proclamations against sedition, denunciations, addresses, and speeches by the governor and other officials. Collections of these texts were published as pamphlets and distributed at public expense to magistrates, militia captains, justices of the peace, and other leading persons, all of whom were urged to expose anyone making seditious remarks. At the same time, the House of Assembly, on 2 May 1797, suspended the right of habeas corpus and ordered foreigners – especially Frenchmen – to leave the colony. Clerical denunciation of the “horrors” of a parricidal and diabolical revolution came in pastoral letters from the bishop, circular letters, homilies, and sermons. In the autumn of 1793, and each autumn until 1797, the colonial authorities feared an attack by the French fleet from Saint-Domingue (Hispaniola). And throughout this period, French spies, who proved elusive, were hunted. Indeed the British became increasingly persuaded that the Canadians were being manipulated by spies. They were led to this conviction by the refusal of Canadians to enrol in the militia under the terms of the new law of 1794 in the fear that they would have to serve far away from their homes, and by hostile incidents in 1796 when another new law required the habitants to give their time, tools, and teams to work on road construction. It was necessary to discover these dangerous emissaries, and the search led to David McLane, a merchant from Providence, R.I.
On 1 Dec. 1796 in Montreal, William Barnard declared under oath that he had met McLane the preceding July in Vermont and later in Montreal, and that McLane had admitted he wanted to promote revolution in Canada. 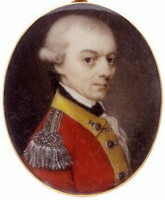 On 10 May 1797 in Quebec, John Black*, a ship carpenter and member of the House of Assembly, declared to an executive councillor that he had that very day met one Charles Frichet who had told him in confidence that “a French general” hiding in the forest wanted to see him; Black said he had then met David McLane, who revealed his subversive plans to him. He proposed to overthrow the government by enlisting seven or eight influential people including Black, and as many Canadians as possible. Assisted by recruits from the United States and armed with eight-foot pikes, the force would make a surprise attack on the Quebec garrison. That evening McLane was arrested in the home of Black, who had denounced him to the authorities. 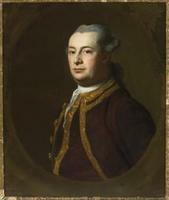 On 14 June, the court named as his lawyers George Germaine Sackville Francklin, son of Michael Francklin, and George Pyke*, both of whom had practised for only a few months. The trial began on 7 July, before 12 English jurors. The crown was represented by Attorney General Jonathan Sewell* and Alexis Caron. Six witnesses were called for the prosecution, among them Charles Frichet and John Black, and all gave evidence incriminating the accused. In his own statement McLane declared that he had come to Canada for the sole purpose of selling wood. No witnesses were called for the defendant, but Pyke brought out the absurdity of the scheme attributed to McLane and the lack of supporting evidence. Francklin, moreover, contended that neither Frichet nor Black should be trusted as witnesses because they were accomplices. After a half hour’s deliberation the jury pronounced McLane guilty. The defence demanded that the judgement be quashed on the ground that McLane, as a foreigner, could not be charged with treason. Their request was refused and the chief justice of the province, William Osgoode*, sentenced McLane to be hanged, to be disembowelled while still alive, and to have his head and limbs severed from his body. On 21 July, attended by two Protestant ministers, he was executed outside the city walls in the presence of a large crowd. He was already dead when the hangman cut off his head and disembowelled him; his body was not dismembered. The witnesses for the prosecution, Black in particular, had received land for their collaboration. Charles Frichet, an illiterate of no ability, was condemned to life imprisonment for having failed to denounce the American spy, but he was pardoned and immediately released. The McLane affair horrified the population and caused much comment. 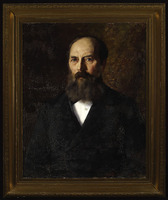 The government had 2,000 copies of the trial transcript printed by William Vondenvelden*, and gave a subsidy to John Neilson* for two editions of a summary of the trial after he had written long articles in the Quebec Gazette about it. By autumn a pamphlet described to Americans McLane’s trial and barbarous punishment. Although informed about the affair, the American government chose to ignore it in order not to endanger its relations with Great Britain. 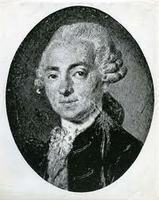 The following year Abbé Augustin de Barruel, a counter-revolutionary French intellectual, proceeded to use the McLane affair to demonstrate “the universal successes of the faction, accounted for by its universal conspiracies.” The proceedings and the transcript of the trial were even included in a collection of important trials compiled by Thomas Bayley Howell in 1819, and the case continued to engender debate among British and American jurists in the 19th century. The scheme attributed to McLane involved many improbabilities. Both French and English Canadian historians, with the exception of Douglas Brymner* and William Kingsford*, have in general agreed that McLane was an unlucky fool rather than a conspirator. The affair is a good example of what happens in wartime when the effects of fear and psychological propaganda lead to exaggeration so that some lose their heads and others become informers for profit. ANQ-Q, AP-P-1061, 68–69. Archives du ministère des Affaires étrangères (Paris), Corr. politique, États-Unis, 49, ff.146, 155–65. PAC, MG 11, [CO 42], Q, 78, pp.135–44. PAC Rapport, 1891, xxxii-xli; note D, 57–85. 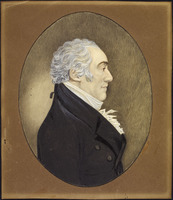 T.-P. Bédard, Histoire de cinquante ans (1791–1841), annales parlementaires et politiques du Bas-Canada, depuis la constitution jusqu’a l’Union (Québec, 1869). Thomas Chapais, Cours d’histoire du Canada (8v., Québec et Montréal, 1919–34), II. Robert Christie, A history of the late province of Lower Canada, parliamentary and political, from the commencement to the close of its existence as a separate province . . . (6v., Quebec and Montreal, 1848–55), I. Galarneau, La France devant l’opinion canadienne. F.-X. Garneau, Hist. du Canada (1845–48), III. William Kingsford, The history of Canada (10v., Toronto and London, 1887–98), VII. J.-F. Perrault, Abrégé de l’histoire du Canada . . . (5 parties en 4v., Québec, 1832–36), II. Claude Galarneau, “McLANE, DAVID,” in Dictionary of Canadian Biography, vol. 4, University of Toronto/Université Laval, 2003–, accessed April 22, 2019, http://www.biographi.ca/en/bio/mclane_david_4E.html.